When it comes to weight loss, fat depletion is the key role to it. Eating excess caloric food that leads your body to store this excess energy as glycogen or fat to use it in later time. These surplus calories or fat is stored in the liver, muscles and fat cells(adipose cells). By continual storage of fat and disequilibrium between energy intake and expenditure leads to weight gain, belly fat, and obesity. To keep your body fit and healthy, you need to aim two things- first, lose fat and second is build muscle. Today, we will focus on fat loss goal. To burn fat you must know the process of lipolysis. Lipolysis can be defined as the process in the body of breaking down stored triglycerides (lipid). Break down of lipids releases free fatty acids into the bloodstream and which circulate throughout the body, which is utilized in the form of energy to process our body function. Being fat is often seen as being lazy, unsuccessful and not having enough willpower to do anything, we lose our confidence and concentration also get depressed. Not only this if you have lot extra pound you are more likely to develop a whole lot of health problems not only physiological but also psychological. Serious health conditions like heart disease, breathing difficulty, stroke, diabetes and certain types of cancer can be developed. Fortunately, there are natural products that you can use to effectively reduce your belly size and burn abdominal fat. So this belly fat must be obligated from the body. Lemon and Honey drink is very well known and familiar to everyone in the fitness world. But for the fastest belly fat burn and confirm results you need to consider and follow these herbal drinks. These just two ingredients help burning belly fat and whole body fat quickly. Cinnamon cleanses the body and eliminates the bacteria and parasites in the digestive tract. Cinnamon increases metabolism and gives you a feeling of satiety and fullness, thus preventing foods craving. Also helps in improving insulin function(increasing metabolism of glucose) and thus helps in fat loss. Both cinnamon and honey help in revving up your digestive system as well as your metabolism on a level of energy through lunch. Method- Boil one glass of water. Add one tablespoon of the powdered cinnamon in the boiling water. Let the water boil for more 10 minutes and take up all goodness of cinnamon. You can also use the cinnamon stick instead of powder. Let the boiling water cool until little warm and then add one teaspoon of honey. Stir well and drink. You can also add lemon juice to add a little zing to the drink. Take this drink as soon as you wake up in the morning or half an hour before you take your breakfast. Obviously, I've had been benefited by this drink. Ingredients are garlic and red wine. So the first ingredient in this drink is garlic. Yes! that stinking rose that we add in our food to spice it up and chase off colds. But what can garlic help you here? Well, garlic is very rich in antioxidants which are important to our good health and can help prevent Alzheimer's disease and lower the risk of heart disease and also fights acne. Garlic has very few calories in it. A study published in "Nutrition Research and Practice" in June 2012 found that taking garlic extract helped the participants reduce their body mass index, including their healthy habit of exercise. However, Garlic benefits also include burning belly fat property. The second ingredient is red wine. 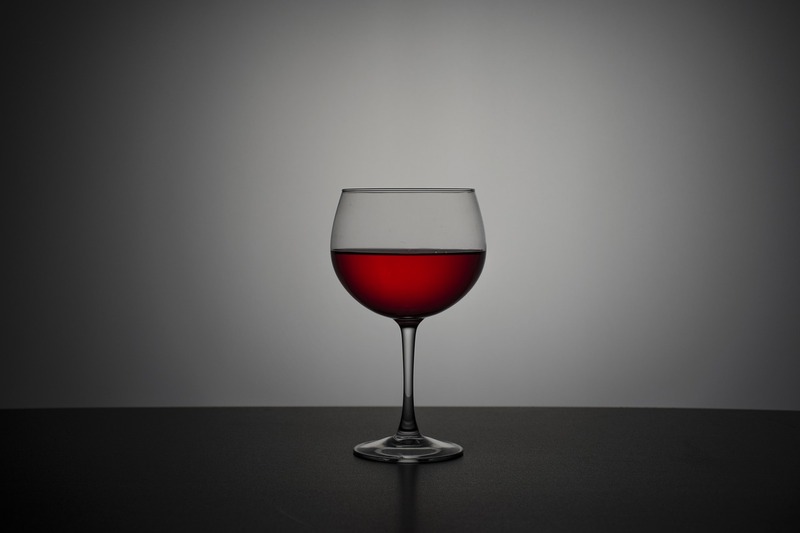 When red wine taking in moderate amounts about three glasses a week, red wine can actually do you good. Red wine helps you lower your cholesterol, which is important to protect your heart. Red wine is the natural source of resveratrol and can help control your blood sugar and boost your brain and memory and even slow down the aging process. Red wine also keeps your mood happy and it reduces the risk of developing depression. So if both garlic and red wine are so amazing by themselves what will happen if you put them together. You will get a super powerful drink which can help you lower your belly fat, lower your cholesterol level, accelerate your metabolism, and help you burn fat at a dream speed. Method- Take 12 garlic cloves and around half milliliter red wine. Peel and finely cut the cloves then put them in a glass jar and pour the wine. Close the jar and leave it in the sun for two weeks. Occasionally shake the jar. When the time is out, strain the mixture and pour the wine in a dark bottle. Your drink is ready. Consume it three times a day for firm results and try it for one month. This drink benefits the body in many ways, in weight loss, improves digestion, improves heart functioning, regulates blood sugar level, etc. Method- Take one glass of water in a saucepan. Boil the water and add one teaspoon cumin seeds or jeera and simmer the flame for about 3 to 5 minutes. After that switch off the flame and allow the cumin water to cool down completely. Make sure that water is neither too much warm nor too much cold. It should be lukewarm. Strain the cumin water to separate cumin seed from the water. Squeeze in half a lemon. Now add one tablespoon honey. Make sure you don't add honey in hot water, as hot water kills valuable enzymes and bacteria. Lastly, add five organic curry leaves(simply torn leaves by hand) into the water. Cumin is the great source of dietary fiber that suppresses your appetite and controls your food cravings throughout the day, this helps in weight loss. Cumin improves the digestion and also gives relief from floating acidity abdominal gas, etc. Lemon helps your liver to produce bile which in turn helps your digestive system break fat down faster. Lemon contains a fiber called pectin which gives you fuller for longer and keeps your food cravings away. Honey is the instant energy booster. Honey is packed with valuable amino acids and number of vitamins and minerals, which benefits the body's metabolism. Also, honey having antibacterial property and honey improves the immunity. Honey always aids in weight loss process. Curry Leaves helps in lowering blood sugar level and also helps in regulating blood pressure. It improves the digestion and lowers cholesterol. Curry leaves contain certain compounds which cleanse your blood and flushes out bad toxic substances from the body. Curry Leaves are considered one-stop natural remedy to beat anemia. It also helps your heart function better. Chewing or eating curry leaves regularly helps in burning belly fat. Lot of us drink lemon and honey drink in the morning for the weight loss and gets very slow and sometimes no result, but by just adding one more ingredient to it can effectively faster the weight loss process and gives you 100 percent result with regular use in one month. 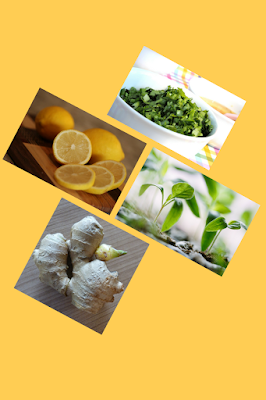 This result shed up to 5 kg weight, provided you eat healthy for rest of the day, not overeat, also drink green tea three times a day, add some fibers by eating raw veggies or fruits and daily exercise.This drink is made of three-ingredient green coriander leaves, lemon, and water. Method- Take three to four stalks of coriander leaves. Chop few coriander leaves and grind it with some water. Strain the juice of coriander leaves. Squeeze half a lemon in it. Add a glass of water and stir well. 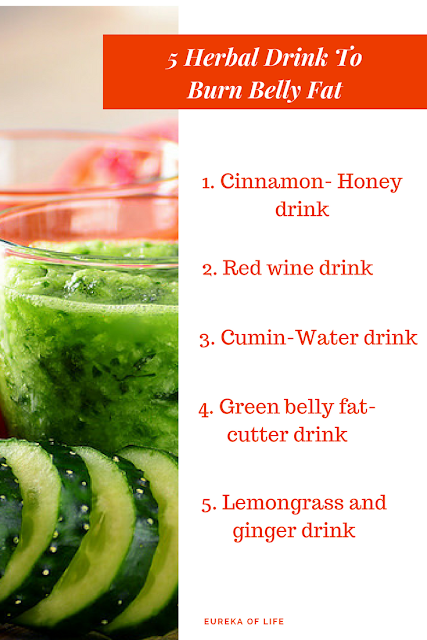 Your green belly fat-cutter drink is ready. Lemon juice here helps burn calories and supply your body with vitamins and minerals. Lemon purifies the blood and controls a high blood pressure. In addition, it improves the digestion and eliminates heavy metals and toxins from the body. Lemon contains pectin like compounds which gives you feeling of satiety and helps in weight loss. Do you know coriander belongs to the carrot family? Yes, you read that right. This family comprises of other notable plants like parsley, celery, etc. Coriander leaves juice help in digestion and prevents the flatulence when taken with hot water. Coriander leaves are a good source of fiber and thus relieving gastrointestinal problems. Coriander leaves are the great source of essential vitamins and minerals and are rich in iron in turn help treat anemia. The main mission found in cilantro helps in proper functioning of nervous system and strengthens the bones. Coriander juice is a good source of Vitamin A, C, and K.
Coriander also is known as cilantro has been found to work wonders for obese and diabetic people. It helps in the reduction of fats and thus aids in weight loss when eaten fresh and raw. Coriander tremendously reduces a sugar level in the blood. Cilantro is rich in antioxidants like beta-carotene. Great way to get more ginger into your life is by making a delicious and energizing ginger drink. Ingredients are one stalk of fresh lemongrass, 3-4 slices of fresh ginger clove, green tea and one tablespoon of honey. Method- Rinse the lemongrass very well and slice into 2-inch length pieces. Add ginger clove slices, honey and pieces of lemongrass into 2 cups of boiling water. Then add green tea bags to the boiled mixture. Then remove the green tea bag from the mixture and allow the tea to cool for about 30 minutes. Strain the mixture and cover it, put it in a refrigerator for an hour. You can order your weight ginger and lemongrass tea from Amazon here. Ginger has a stabilizing effect on blood sugar, cholesterol, and lipids. If this drink is consumed before a meal stimulates the digestion. High cortisol level increases belly fat and weight gain. The study published in the "Journal of Science And Food Of Agriculture" in 2014, the study found it compounds like gingerol is able to lose weight after 30 days supplementation. The study also revealed ginger reduces blood sugar and leptin level. As a digestive aid, ginger can reduce appetite, regulates blood sugar level and cholesterol level. Lemongrass is an herb that belongs to the grass family of Poaceae. Lemongrass is a source of essential vitamins such as Vitamin A, B1, B2, B3, B5, B6, folate and Vitamin C. Also lemongrass is the good source of antioxidants, thus cleansing the body from within. Lemongrass helps in boosting your metabolism which makes digestion quicker and helps in burning more calories. This way lemongrass is a plant for burning belly fat. Honey contains vitamins, minerals, useful enzymes and amino acids which are known for their therapeutic properties and many health benefits. What is the etiology of a person becoming fat and lean? Do you know there are the people who overeat the food but still their body remain lean? And there are people who eat little excess than normal diet but their body seems to get fat or obese. This dual nature is due to the role of Basal Metabolic Rate(BMR). Your basal metabolic rate(resting metabolism) accounts for 60 to 70 percent of your overall metabolism, and surprisingly, it's the number of calories you burn doing nothing at all, lying in the bed or vegging on the couch watching TV. It's all because of your body fueled up with your body's inner workings- your lungs breathing, your heart pumping, even your cell divisions, etc. So I hope these herbal drinks benefit you, they will not provide immediate weight loss. The changes will be gradual but hopefully permanent. Don't be impatient and allow it some time. Sometimes losing just one pound a month and not re-gaining it afterward, can be the real success. Comment your experiences with this drink in the comment box below for sure. Great article.. I will surely give it a try.. I definitely need to get this belly fat removed. If you are looking for Eye Specialist in Gurugram then contact us or Download KareXpert Patient App which is very helpful to you. nice article about herbal drinks to burn belly fat. Thanks for sharing. I will give it damn a try. I would like to thank you for the efforts you have made in writing this article.Thanks for sharing such a nice artcle about burn fat . Herbal drinks helps a lot in reducing the weights as the metabolism present in it which reduces the obesity rate and there are other benefits of drinking herbal tea as it is made up of the herbal leaves and helps in becoming slender and lean body. Pramila Madam, You have written an excellent article for weight loss. This post is very helpful for everyone. Keep it up and write more articles. We are here to follow your updates. Thank you. Nice Blog! I Like It. I enjoyed the information you gave in your blog. Thanks you for these amazing tips and sharing wonderful suggestion for weight loss. why women not control on weight or no burn calories?